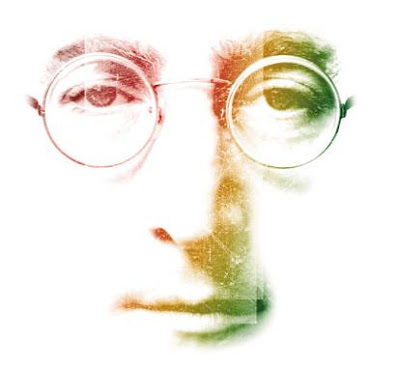 John Lennon would be turning 70 right about now, a disconcerting thought for some baby-boomers, especially those who took to heart certain lyrics of the Who's "My Generation" - "hope I die before I get old." 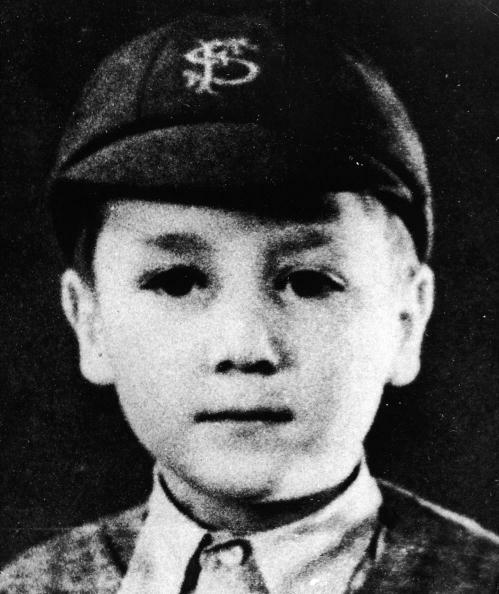 As fate would have it, John Lennon did die before he got old, he had just turned 40 when he was killed in 1980. But the years he lived were incredible, most of all the last 17, when he, as a Beatle and after, reigned as one the great and beloved icons of popular music and culture. In my life, the period just before the Beatles exploded on the scene was a time of unimaginable grief and sadness. This was late 1963 and President Kennedy had just been assassinated. Sometime after Christmas that year we, my friends and I, began to hear about the Beatles (not Beetles). We knew there were four of them, they were from England, had long hair and were goodlooking ("cute"). Then one day a friend got his hands on a copy of "I Want to Hold Your Hand" and a group of us listened to it in one of the listening rooms of our school library. We played it again and again. I thought they sounded totally different, almost strange, but they had so much energy...and their harmonies reminded me a bit of the Everly Brothers. 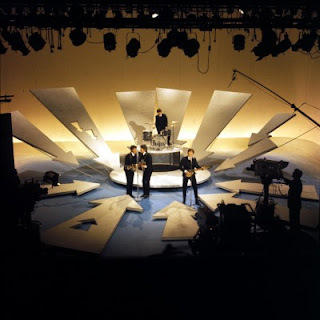 On a Sunday night early in February 1964 the Beatles made their first appearance on The Ed Sullivan Show. We were all watching. And when it was over...uncannily...the excitement, the elation didn't end. In some ways, looking back, it seems as though the planet had flipped on its axis that night. The Beatles were all anyone talked about at school or anywhere else for days...weeks ...months...years. Their records were all over the radio (and on our record players), one song after another..."I Want to Hold Your Hand," "She Loves You," "I Saw Her Standing There," "Please Please Me," "All My Loving," "Do You Want to Know a Secret," an endless stream of hits. Then, that summer their first movie, A Hard Day's Night, came out and was a popular and critical smash. To be young then was blissful. I was so devoted to the band that when the editor of our local paper wrote a scathing editorial about them, ridiculing them, I was inspired to fire back a letter of my own. I worked hard to counter the editor's attack with some flair, parodying his tirade. It was printed and I was much admired at school (and even at home). It was a well-written response and I may have sounded older than my years because one day I happened to overhear a couple of girls talking about it, not knowing I was nearby. One of the girls commented, "she didn't write that letter," referring to me...I broke in and set the record straight. And I received a letter from an older man in the area who, though not a Beatles fan, thought the editor had overreacted and congratulated me on what I'd written. "I was bored on the 9th of Octover in 1940 when, I believe, the Nasties were still booming us led by Madolf Heatlump (he only had one). Anyway, they didn't get me. I attended varicous schools in Liddypol. And still didn't pass..."
The Beatles had kicked off their first U.S. tour with their appearances on Ed Sullivan in early 1964. A year and a half later, they made their second tour of the states. This time the tour included a city near me...San Diego, California. And so it was that I found myself at Balboa Stadium on Saturday night, August 28, 1965, for a Beatles concert. We'd gotten the expensive seats ($5.50 each), but were still nowhere near the stage, which was ringed with policemen, as was the area in front of the stands. That was OK, though, I'd anticipated distance and obstacles and brought a pair of binoculars. How do I describe the experience of being within 50 yards of my idols, the idols of my generation? Joy? Euphoria? Intoxication? I think I had an out-of-body experience. The Beatles played for only about a half-hour, but it was a half-hour of songs I loved played by the band I worshipped. I remember "Ticket to Ride" best of all...but it was so hard to hear anything; their sound equipment was prehistoric and, of course, there was the screaming...those eerie deafening waves of high-pitched screams that never let up. The Beatles later admitted they couldn't hear themselves play, but you wouldn't have known it, they were having a great time on stage, performing and clowning around with each other. 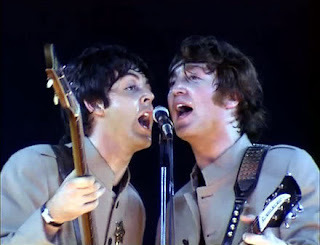 Many years later I watched a film of the Beatles at Shea Stadium and it dawned on me that the New York concert, staged less than two weeks before San Diego, was essentially the same show I'd seen, the same songs, the same jackets...the same supernatural screaming. Seeing it was like going back to Balboa Stadium and reliving that night so long ago. It might be a cliche to say that the Beatles changed my life, but they did, and their impact has been lifelong. This weekend, in honor of John's 70th birthday, I'm going to be watching The Beatles Anthology...I'll borrow the boxed set I gave to one of their newer fans, an 18-year-old with impeccable taste (that's you, Nick), last Christmas. Hey Lady Eve, (its beatlebrandon) amazing tribute to an amazing man! Beautiful tribute to a ground-breaking artist, Eve. I was 11 in 1963 and remember it all very well. I was a little out of step, as I frequently am, because I was totally in love with Mike, the keyboard player in the Dave Clark Five. But I loved the Beatles too. Remember how they each had a description...John was the smart one, Paul the cute one, Ringo the funny one, and darned if I can remember what we used to call George! After the Beatles was the British invasion, and so many good bands, Chad and Jeremy, Peter and Gordon, the Stones ... it was indeed a good time to be young! Thanks for a well-researched and well-written article about this wonderful man! I really enjoyed reading your account of how the Beatles and Lennon touched your life. While I'm a tad too young to say I had first-hand experience of the British invasion, I still can appreciate how they contributed to the development of music here in the States as well as other parts of the world. Great tribute. BTW, I've returned to blogging. Eve, my favorite part was reading about your letter. 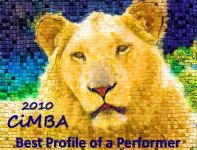 That was probably the seed that grew into the classic arts blogger you are today! This blog is obviously close to my heart, so I offer a special thanks to those of you who have commented - Brandon, Becky, Kim and Rick. 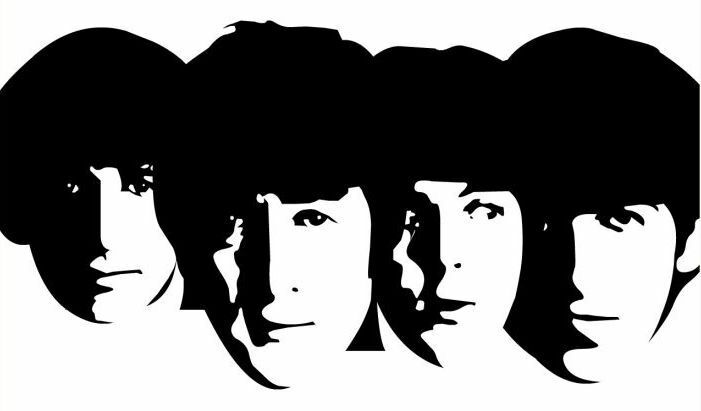 I confined myself to writing about the early Beatle years...I didn't want to turn this into another three-part opus which was possible because, as they evolved, the Beatles came to mean much more to me than "the greatest band in the world." Rick, I think you hit on something. As I was thinking about that long lost letter to the editor, it occurred to me that it was the first thing I wrote that was published beyond the school paper. I should note that This is probably the least researched blog I've ever written, since 95% of it was simply remembering. Kim, I'm so glad to hear you're blogging again! TheLadyEve, Thank you for your wonderful article. You just put me back in time. I remember those days very well. I never saw the Beatles in person but.. I do remember laying out by the pool listening to my little transistor radio waiting for one of their songs to play. For birthdays, I always looked forward to getting the latest Beatles album. My favorite Beatle was "George". I absolutely loved his voice. When they broke up the band I could not believe it. Do you remember one of their last performances when they played on top of the roof. (I think was on top of a bank building). I will see if I can find the video and post it on N and CF. Hi Dawn...what great memories you have...I'm going to check out the clip you posted on N&CF, I've seen it a few times but never tire of it. Meant to reply to Becky about the DC5, Chad & Jeremy, Peter & Gordon...some of my favorite British Invasion bands were the Kinks, Them (w/Van Morrison), Eric Burdon & the Animals...and one of my favorite solo singers, Dusty Springfield. i stopped being a rock fan when the BEATLES broke up in 1970...everyone was a fan...great tribute to THE QUARRYMEN & THE SILVER BEATLES!!! Many of your memories mirror my own, the Ed Sullivan Show appearances, hearing the songs for the first time on the radio(for me it was in a school lunch room listening on a transistor radio), though I have to admit being envious of you seeing the Beatles live! Individually, I did get to see them all in person, though not all in concert, just Paul, George and Ringo. As for John I got to see him, and Yoko, at a movie theater when I lived in NYC. I recounted this experience at my other blog “Watching Shadows on the Walls” back in October when I did a series of postings on Lennon. Below is a link.